A proactive car owner is always on the alert. He or she listens for any screeching noise coming from the car, or sudden changes such as the car stalling when it usually doesn’t. These are ways of preventing problems from getting worse. It is essential to remember that sometimes there’s no clear warning sign until the problem reaches critical stage. Transmission fluid difficulty is a problem that grows slowly. The liquid is a very important ingredient of a healthy transmission. To begin with, we need to take a look at the importance of fluid. The engine of an automobile is a very sophisticated internal combustion machine. It generates very intense heat, the kind that can melt steel. Transmission fluid, just like oil, is a lubricant. Its purpose is to see to it that the various working parts of the transmission are not subject to damage. The fluid will keep the transmission both lubricated and cool. This is what good transmission fluid does. When the fluid goes bad, problems surface. 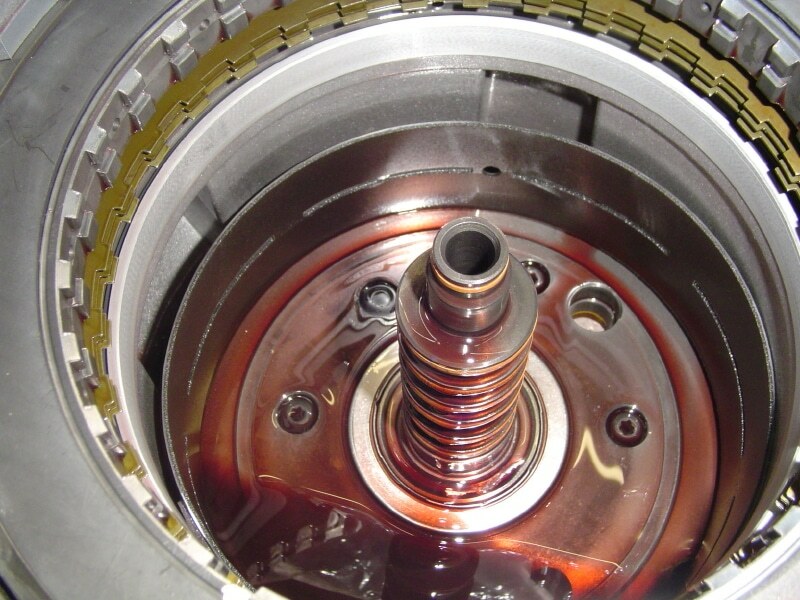 Transmission fluid will see to it that the gears of transmission are not grinding against each other. In the process of doing its job, the transmission fluid can collect a considerable amount of debris. What can happen is that the acceleration can be affected and also gear shifting. The particles make it more difficult for the transmission fluid to work properly. It also needs to be remembered that the friction generated by the transmission is counterbalanced by the transmission fluid. When transmission fluid goes bad, it is not as easy to dissipate the heat being generated. 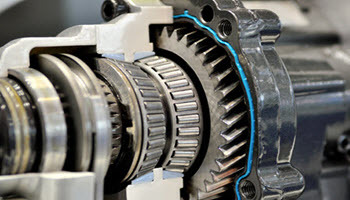 Loss of acceleration and problems with the gears being shifted have already been mentioned. The worst catastrophe that can arise is complete transmission failure. This is more than serious and incredibly expensive. The transmission is one of the most complex pieces of machinery ever created. If you are forced to have your transmission replaced, expect to pay thousands of dollars in parts and labor. The problems with the transmission fluid grows gradually and then appears abruptly. You can easily discover your transmission fluid is causing problems as your car breaks down on the freeway during rush hour. This is a tragedy a sensible car owner wants to avoid. Transmission fluid problems are silent villains. They creep up on the system and can generate very serious dilemmas if handled too late. This is when a car owner needs to be more proactive. A very simple test is to check the color of the fluid. Good transmission fluid has a red color; brown indicates danger. Taking a look under the car may uncover a small puddle forming. That could be transmission fluid and the best way to check is to take a look at the fluid readings of the transmission. Problems with shifting gears will obviously let you know there is difficulty in the transmission fluid. Incidentally, the automatic transmission will require more attention; it generates more intense heat than a manual transmission. The fluid can degenerate more rapidly because of this. Transmission fluid is relatively easy maintenance. If you know what you’re doing, you can actually do the job yourself. Still, it might be a good idea to have this done by an automobile service center. It can be part of an ordinary maintenance check. While transmission fluid is being changed, you can request that the system be inspected for any leaks. The mechanics can also be asked to take a look at the transmission itself. This kind of inspection will determine if poor transmission fluid has caused some other difficulties. important liquid. It does not take much to check on conditions and it certainly doesn’t cost that much to change the fluid. It is always better to spend a little on preventive maintenance than to have to pay for complete repairs. Here’s a tidbit of information many people don’t know: it is cheaper to change your transmission fluid that it is your motor oil. The reason is very simply due to mathematics. The engines oil has to be changed at least every 3,000 to 5,000 miles. The transmission fluid of cars does not have to be changed until 30,000 miles pass by. In fact, many automatic transmissions require maintenance at 60,000 miles. Clearly, oil changes are done a multiple number of times before you have to spend a penny on the transmission fluid.